Free Back to School PowerPoint Template with an opened book and apple near of the book stack and green board. 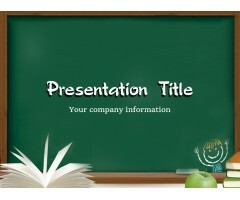 This is amazing Free PPT Template for presentation. Download Template ..